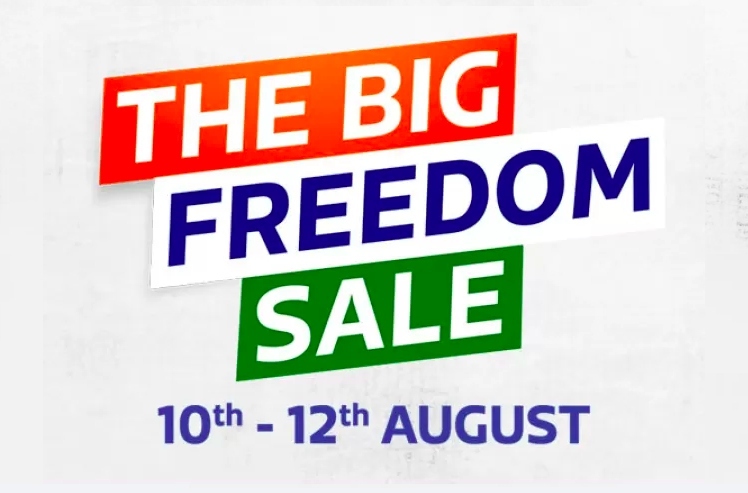 As always is the case, Flipkart has decided to rival Amazon and announced its own ‘The Big Freedom Sale’ to celebrate India’s 72nd Independence Day. The sale kicks-off on August 10, a day after Amazon’s Freedom sale has begun, and will run for 72 hours, up until August 12. While Amazon gave us a sneak peek at the offers we can expect to see during their sale this time around, Flipkart hasn’t revealed much about the same. 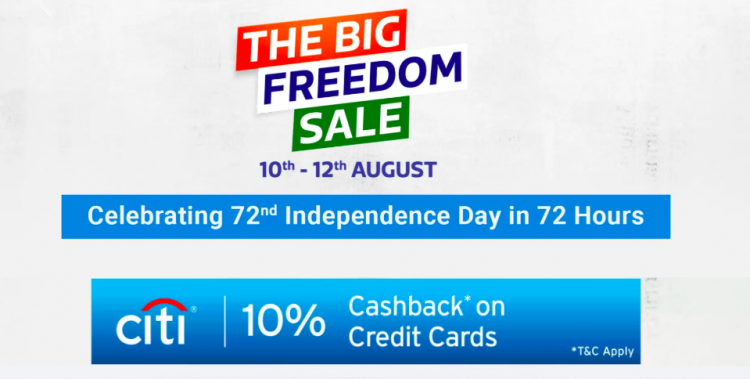 The landing page for ‘The Big Freedom sale’ is already live and it tells us that the Indian e-tailer has partnered with Citi Bank to offer a 10% cashback to credit cardholders at checkout. We are not aware of the upper limit for the cashback as of yet, but we’ll update you once the sale goes live. Further, Flipkart has revealed that you can expect to see Blockbuster deals that refresh every 8 hours, along with a price crash that also happens in the same time interval. The users can also avail steeper discounts and better deals at midnight, thanks to the “Rush Hour” offer that the e-tailer has planned for midnight (12:00 am to 2:00 am) on each day of the sale. 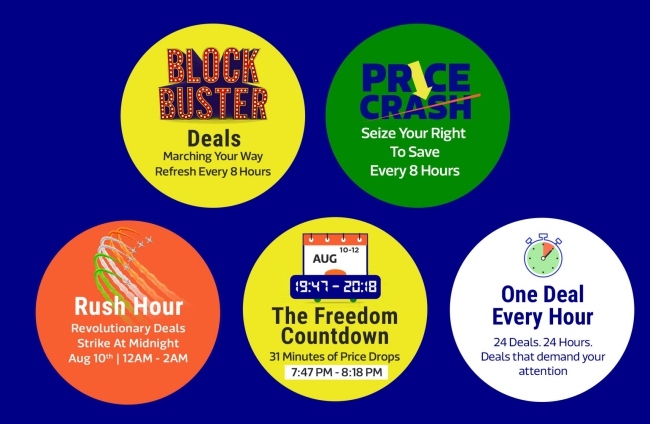 Flipkart also claims to bring along ‘The Freedom Countdown’ offer, where you will be able to witness price drops in a 31-minute window, between 7:47 pm and 8:18 pm, on all three days of the sale event. And it is also emulating Amazon Lightning deals, but will present you with one ‘attention-grabbing’ deal each hour. Apart from this, Flipkart has also advertised that it will bring along some great offers on smartphones from Samsung, Apple, Xiaomi, and more. You can also expect up to a 70% discount on electronic appliances, up to 80% off on laptops, cameras and audio products. And just like every time, Flipkart and Amazon are looking to head-to-head to emerge as the better e-commerce platform in the country. So, what all deals are you most looking forward to in this sale event? Let us know in the comments below.